Burgernomics: Which country has the cheapest Big Mac? Which country has the cheapest Big Mac? The cheaper the Big Mac, the more undervalued the currency. Burgers aren't just for eating. They can also tell you a lot about the economy. The Economist's "Big Mac index" compares the price of the McDonald's hamburger around the world to determine whether a currency is overvalued. So which country has the cheapest Big Mac? India takes the crown. You can pick up chicken- or mutton-based Maharaja Macs for just $1.54. South Africa is next at $2.16, followed by Malaysia at $2.23. 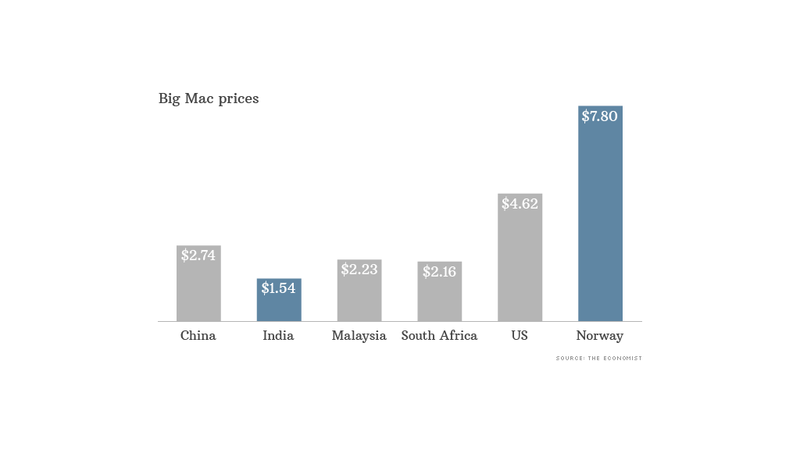 Burger lovers will need deeper pockets in Norway, where a Big Mac costs a whopping $7.80. For nearly 30 years The Economist has used the index as a lighthearted way to determine whether currencies are trading at the "correct" level. Here's how it works: right now the average price of a Big Mac in America is $4.62; in China its $2.74. According to the index, that makes the yuan undervalued by 41%. It might seem like a glib way to measure currencies, but the magazine says its burger index provides insight into the forces shaping the world economy. Fears about the Federal Reserve scaling back its massive stimulus program last year rattled investors in emerging markets and pushed exchange rates in Brazil, Indonesia and Turkey sharply lower against the dollar. And with the exception of Brazil, that made Big Macs more affordable: the BRICS all rate low on the burger index. Big Macs could be getting even cheaper in emerging markets as new strains begin to show. 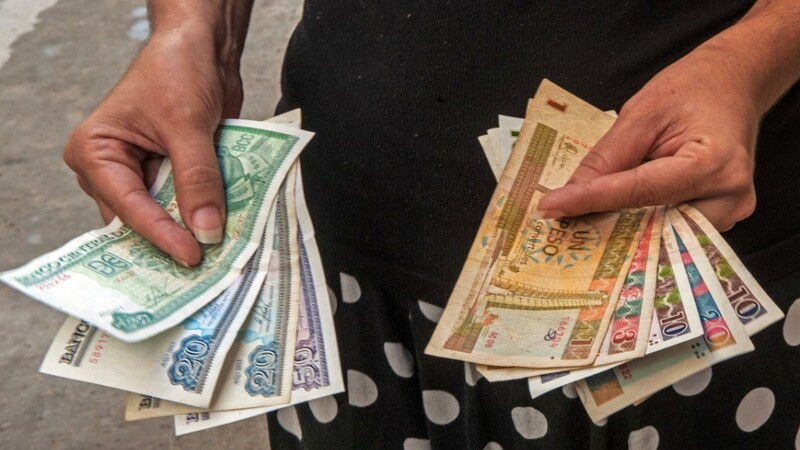 This week, the Argentine peso collapsed and Turkey's lira plumbed fresh lows amid renewed worries about slowing growth and rising political tensions in developing economies.